Post Legal Jobs > Employer Legal Articles > > Employers > Legal Employer Hiring Strategies > Writing Legal Job Postings > What Does an Effective Job Description Look Like? What Does an Effective Job Description Look Like? You may have the best job posting practices, but if the job descriptions fail to impress the job seekers you may not get fair returns on your job posting investment. Further, in order to write effective job descriptions, it is a good idea to get into the shoes of a job seeker and consider what they would expect an exciting job listing to contain. Job Title: Use a familiar yet attractive job title that represents the open position well. Browsing through various online resources will help you find the most frequently used job titles in your industry. It makes sense to opt for these traditional titles instead of some fancy ones that you may make up simply because the traditional titles are the ones that the job seekers are familiar with and would search for on a job board or a recruitment website. Day-to-Day Responsibilities of the Role: Provide a good description of the day-to-day responsibilities of the advertised role. This is important as job titles vary from company to company and so do the responsibilities associated with the titles. Further, giving an accurate picture of what is expected of the role will ensure that you get the right pool of candidates to choose from as only those job seekers who are interested in or believe that they have the necessary skills to deliver these responsibilities would apply for the job, thereby helping you sift through the candidates even before they apply for the job. Term of Employment: Always mention the tenure of employment. Clearly mention whether the job is a part-time or a fulltime one and the number of hours the incumbent would have to put in per week. In particular, do not miss this bit of information if the job is a contractual obligation. Job Location: Including the exact information pertaining to the job location in your listing is vital as this is among the most determining aspects of the job. Candidates often use a location-based keyword search to search for jobs, so ensure that you mention this piece of information. Remuneration: The salary on offer or the salary range is perhaps the most important factor that influences the candidates and grabs their attention. Make sure you remember to include this information in the job description. Benefits & Perks: The benefits or perks on offer must be clearly spelled out and should be made up of fringe benefits as well. This aspect reflects the company culture and can assist candidates on deciding on whether to apply for the job or not. 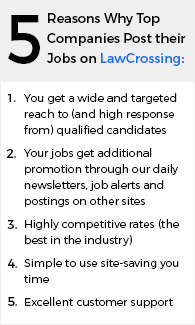 Finally, remember that the more informative your posting is, the higher your chances are of attracting the right candidates for the open position. Should I Try to Have a Bad Job Title Changed before I Accept a Position?